Deaf-Blind Service (DBS) allows individuals with combined hearing and vision loss to place and receive telephone calls. DBS users type their messages and read the other person’s responses, typed by the Communication Assistant (CA), on a braille display. 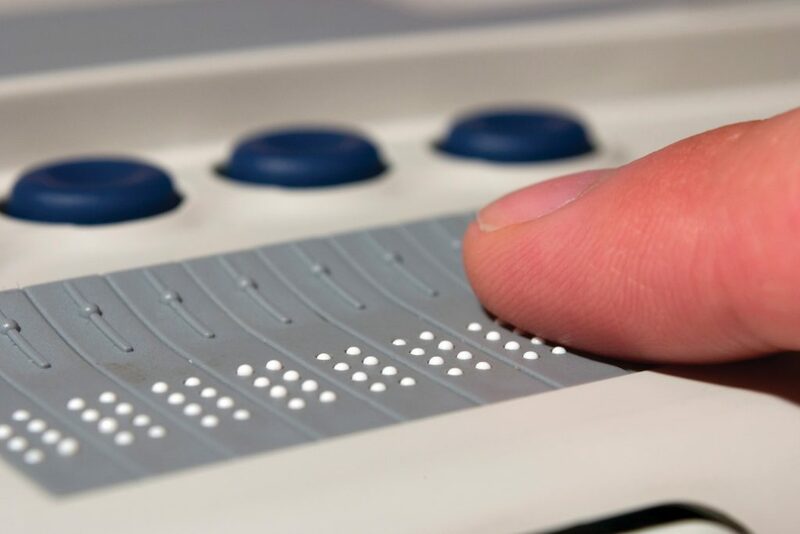 Specialized telecommunications equipment is required, such as a TeleBraille or deaf-blind communicator. Using your specialized equipment, dial 7-1-1 or 1-800-255-0056 to reach Georgia Relay. Provide the area code and telephone number you want to call, as well as any additional instructions. Once the call is connected, the CA will type everything said by the other party word for word, along with any background noises. When you read “GA,” it is your turn to respond. Type your message and add “GA” when you are ready for a response. The conversation will proceed in this manner until the call is complete. When you have completed your side of the conversation, type “GA TO SK” to close your call. A feature used in DBS which allows the CA to type at a normal pace, while sending text to your device at a speed dictated by you. You can establish the pace of which text is sent to you by completing a Customer Profile or by indicating your preference to the CA before your call. In addition, the CA is able to adjust the speed for you at any time throughout your call. CAs have the ability to turn this feature on or off on a per call basis.